Ironically they also seem to do some skewer items which is what Zakkushi next door specializes in. 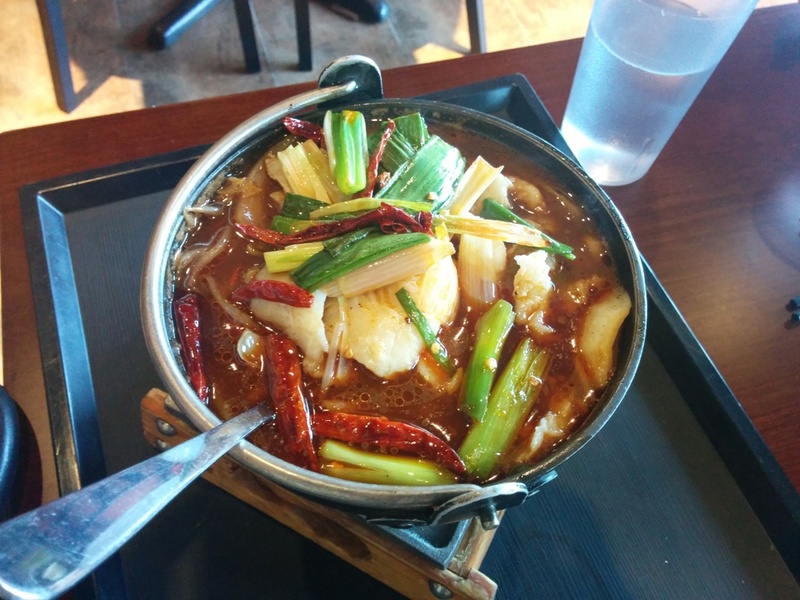 This was the Spicy Fish Hot Pot. 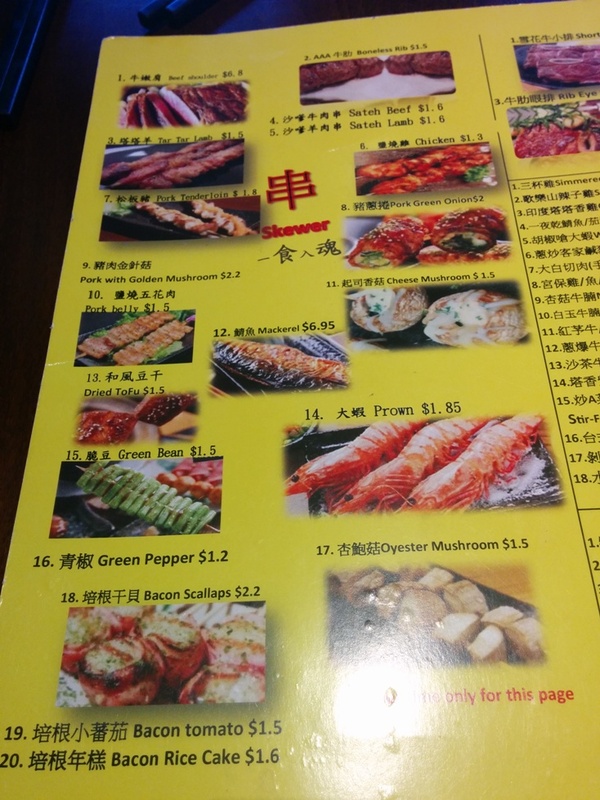 All the menu items don’t come with rice or side dishes. If you want to add rice it is an additional $2? I tried the fish and the spicy flavours were prominent. 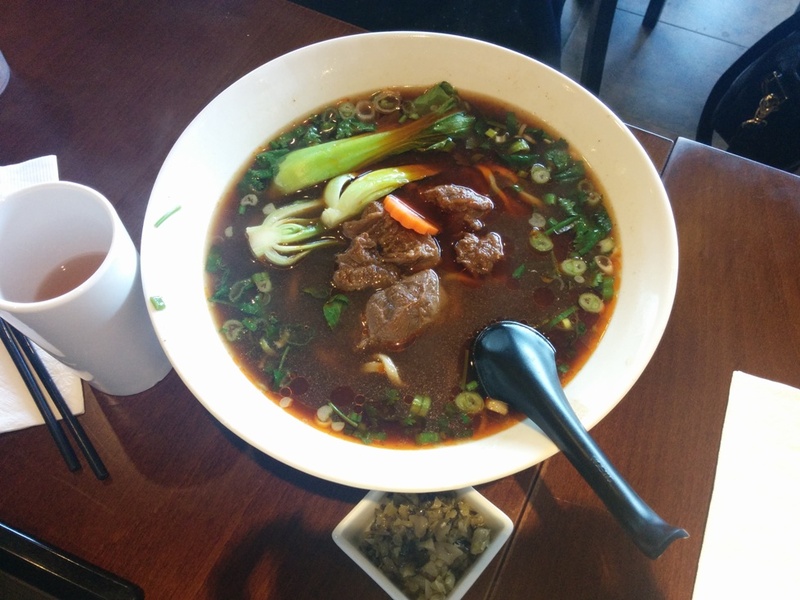 Taiwanese Beef Noodle Soup. Portion was pretty big. 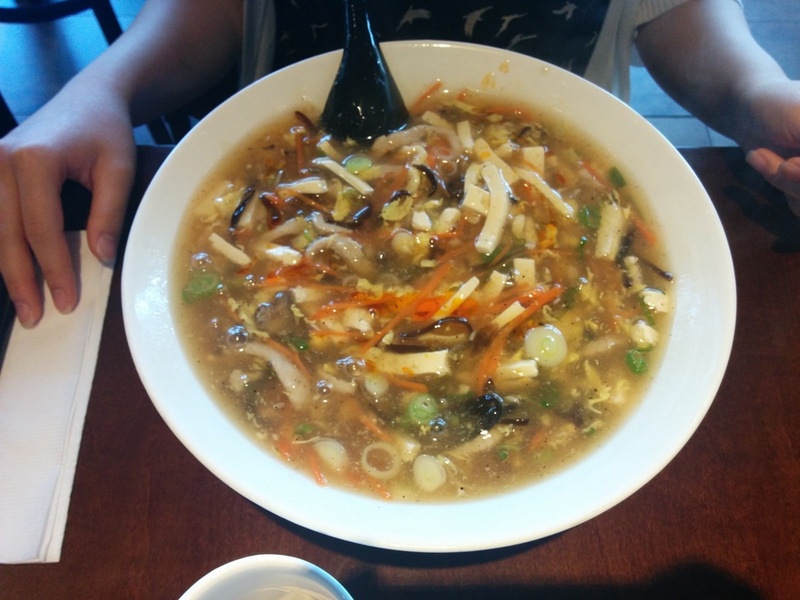 Hot and Sour Soup with Noodles. This was a huge bowl of food! My friend didn’t find this spicy at all so she had to ask for hot sauce on the side. 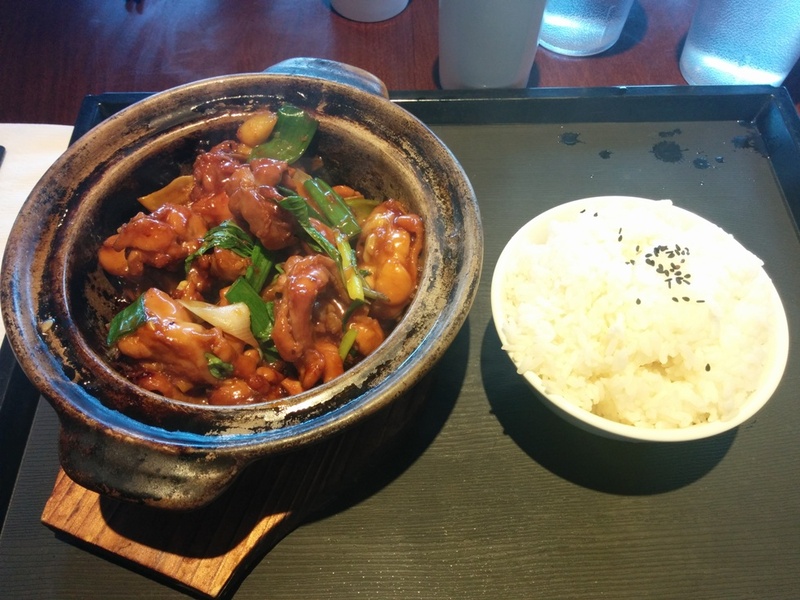 I had the 3 Cup Chicken and I added a bowl of rice to it. The flavour of the chicken was really good and the flavour of the basil was evident. I just didn’t like that there were many very small bones. I understand that this dish usually comes with bones but these were very small! Not feeling too psyched about this place anymore I miss some of their old menu items and some of the appetizers/snacks. 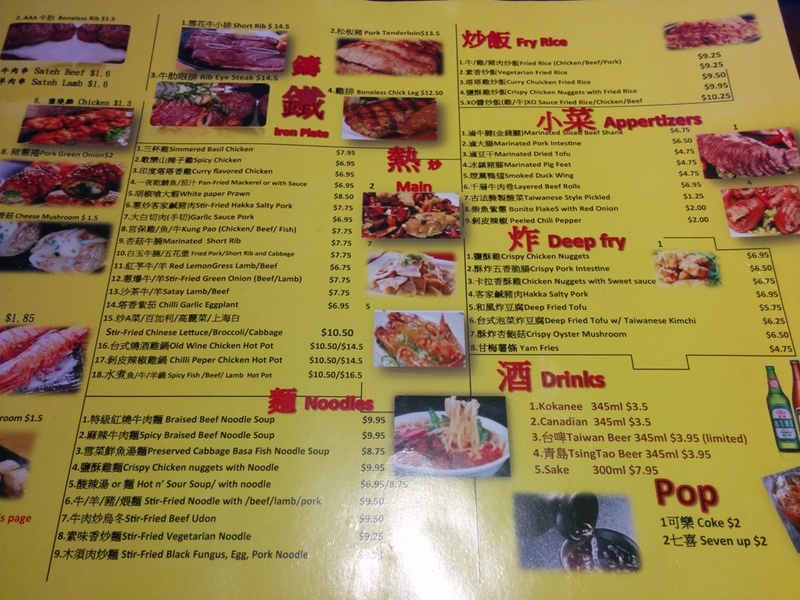 On the other hand, Beefy Beef probably wasn’t my favourite Taiwanese restaurant anyway.